Room 1.42, Building EN, Parramatta Campus. While my research training is in pure mathematics, my research program has evolved to centre on problems motivated by biology. This evolution started with problems in the epidemiology of tuberculosis, thanks to the patience of my long-term biologist collaborator, Mark Tanaka. It then evolved a branch looking at the structure of bacterial genomes. This education in interesting biological problems led me to ways to involve the algebra that I had grown up with, using finite reflection groups (and perhaps even related diagram algebras) to model certain evolutionary processes. I was awarded an ARC Future Fellowship to develop these ideas, and have a 2014 paper describing a family of such problems and applications in algebraic biology, that can be found here (or on the arxiv). Some of the applications of the use of group theory in geneome rearrangements are to problems in phylogenetics, and recently my work has branched into various problems in that area, largely related to the use of phylogenetic networks to represent evolutionary histories, and thanks to stimulating conversations with Mike Steel. This is a rich and active area that requires a range of mathematical tools and so is quite dynamic. For instance, graph theory, probability theory, statistics, combinatorial optimization, and others, all find a role. My research trajectory can be visualised by the phylogenetic network to the right. Note that time travels down the screen, and there is an example of a hybridization between algebra and genome organisation, and a horizontal gene transfer from algebraic statistics to algebraic biology (this last arrow refers to work in progress with Henry Wynn). (I've omitted some work in chemistry, in which I played a very minor role). This network is fortunately "tree-based", in the sense of my paper with Mike Steel! Broadly, I am interested in solving interesting problems using mathematical ways of thinking. Biology provides a seemingly limitless source of fantastic problems that require a lot of care to formalise and to solve. A natural way to describe the sort of mathematics I now do might be "applied pure mathematics", but no-one dare say that out loud, let alone put it on the internet. Since I don't really believe in the distinction between pure and applied mathematics any more, I'm letting myself off the oxymoronic hook. I am interested in recruiting suitably qualified honours or PhD students in the areas described above; please contact me if interested. Current research students: Stuart Serdoz (now at the Commonwealth Bank), Tanzila Chowdhury, Chad Clark, Michael Hendriksen. Recent students. Sangeeta Bhatia (now at Imperial College, London). 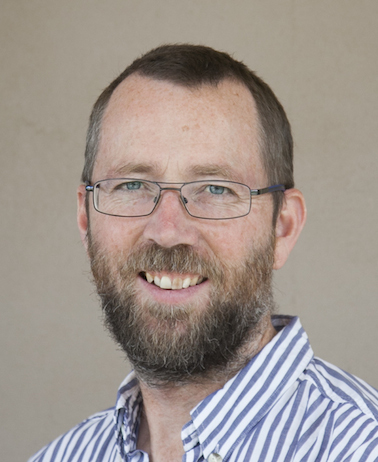 I have also supervised five honours students and numerous undergraduate research projects. Recent postdocs: Shona Yu (2014-2016), Attila Egri-Nagy (2011-2015). Australian Research Council, College of Experts, 2018-2020. Australian Research Council, Excellence in Research for Australia, Research Evaluation Committee, 2015 and 2018. Australian Mathematical Society, Council 2012-2014.
Who's who in phylogenetic networks. An informative site about what's currently being done in phylogenetic networks, and who is doing it. Includes collaboration graphs! Haldane's Sieve. A site that enables discussion of recent preprints in population and evolutionary genetics. 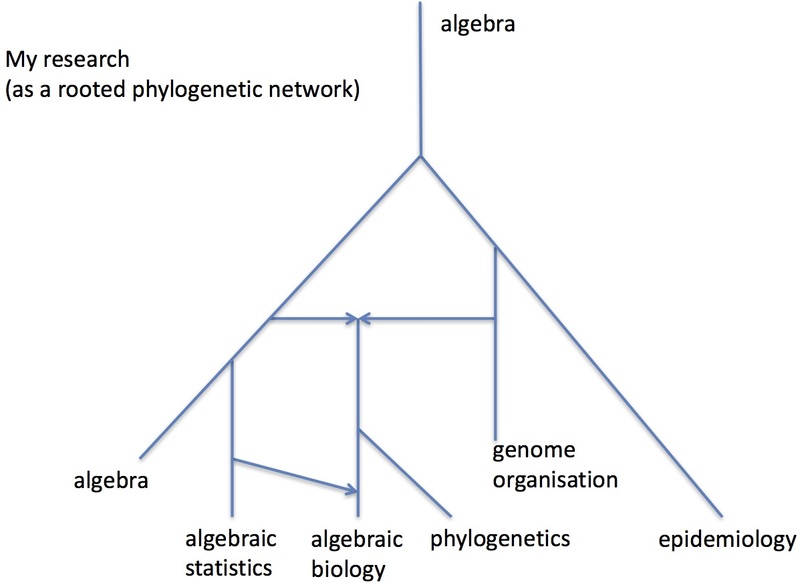 The Genealogical World of Phylogenetic Networks. Biology, anthropology, computational science, and networks in phylogenetic analysis. A blog managed by several people with interesting ideas and comments on phylogenetic networks. 12 Canoes. This is an astonishingly beautiful series of short films by and about the Yolngu people of Central Arnhem Land in the Northern Territory of Australia, in collaboration with the director of the film 10 Canoes.